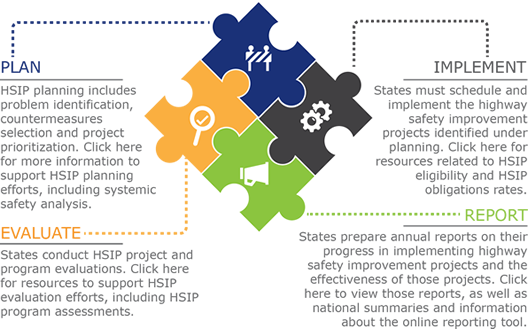 The HSIP is the projects, activities, plans, and reports carried out under 23 U.S.C. 148. FHWA has developed a wide variety of resources to help States plan highway safety improvement projects using a performance-driven process; implement those projects; evaluate the effectiveness of past projects and report annually on the status of HSIP implementation efforts.